Most of the bird eggs held by Te Papa are stored in our off-display research collections. Natural environment photographer Jean-Claude Stahl has recently completed a major project to photograph at least one example of every New Zealand bird species for which we hold eggs. His spectacular images are now published on Collections Online, and (with additional data) on New Zealand Birds Online. The project has produced data and images of the largest and smallest eggs in the collection, and also the oldest and most recent additions. We have also selected eggs that were collected by notable people, or that are associated with significant events. Te Papa holds 3,058 bird eggs, or clutches of eggs, of which 1,924 are from New Zealand. 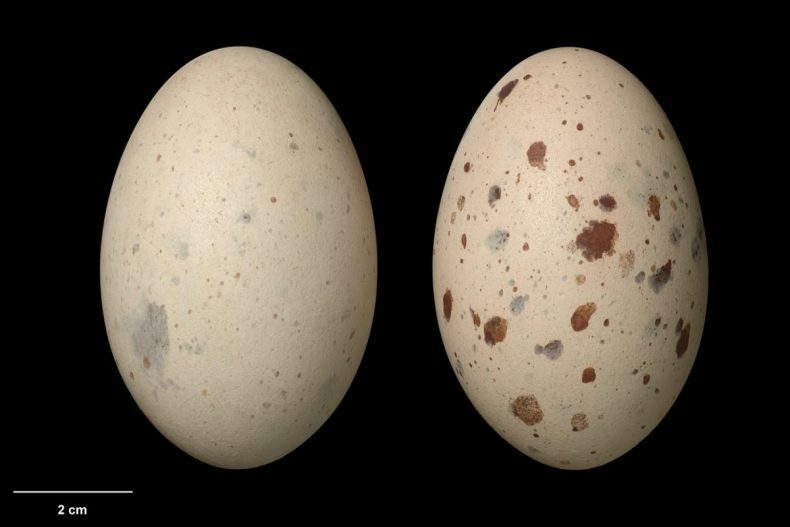 The collection includes eggs of 204 species that breed (or have bred) in New Zealand, although for a few species the eggs that we hold were collected offshore (e.g. bird species that are more abundant in Australia than in New Zealand). 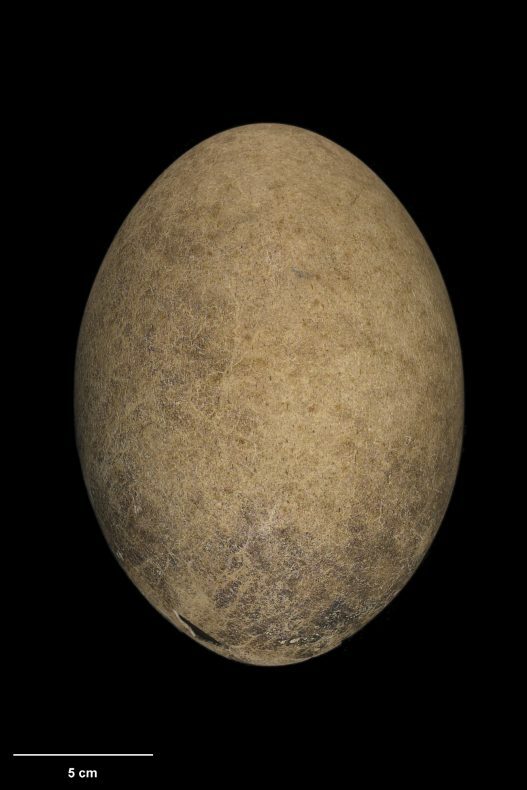 The largest egg held by Te Papa is a 240 mm x 178 mm South Island giant moa egg found at Kaikoura in the late 1850s. 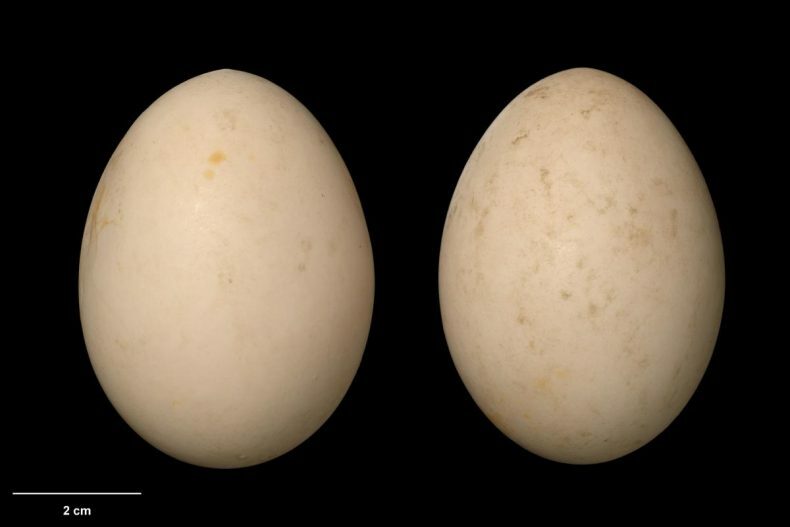 The smallest New Zealand bird eggs were laid by riflemen and fantails, both of which have eggs that are about 16 mm x 12.5 mm. 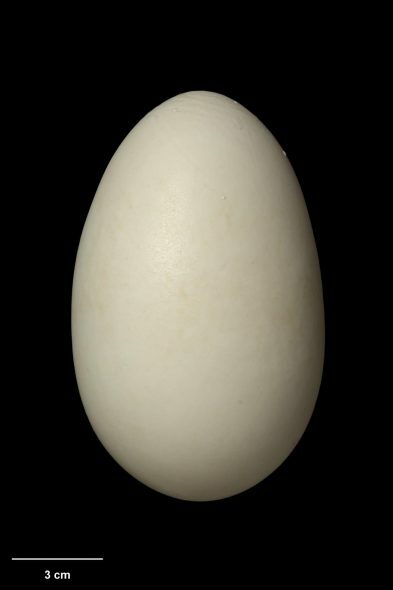 The largest egg laid by a living New Zealand bird in the Te Papa collection is a 134 mm x 83 mm egg of a southern brown kiwi (tokoeka), found on Stewart Island in 1969. 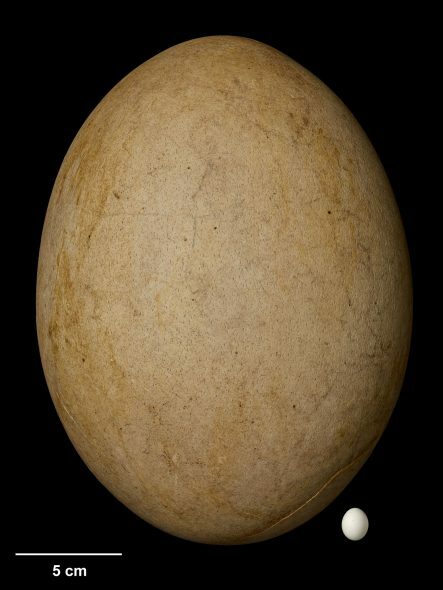 The largest egg laid by a flying bird was a 122 mm x 80 mm egg laid by a northern royal albatross, collected on the Chatham Islands in 1974. 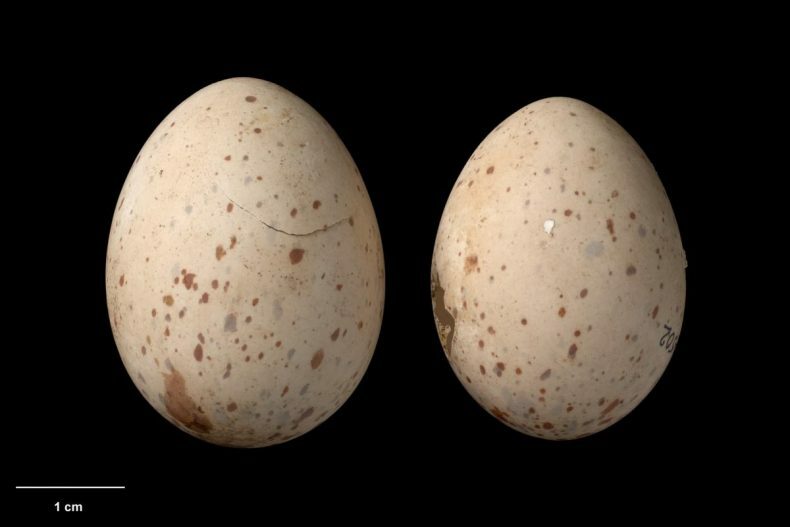 The oldest collection date for a New Zealand bird egg held at Te Papa is 1852 for a stout-legged moa egg found by Walter Mantell at Awamoa, North Otago – though note that all moa eggs were laid hundreds of years before they were discovered or rediscovered. The most recent addition to the collection was a damaged broad-billed prion egg that I found at the type locality for the species (Dusky Sound) in November 2016.
and the Chatham Island bellbird. Attitudes to collecting bird eggs have changed over time, and this is reflected in New Zealand legislation. From the earliest days, if a bird species was protected in New Zealand, then its eggs were protected under the same legislation. This began with protection of introduced game birds in 1861, with selected native species added from 1865 (wild ducks and pigeons ‘indigenous to the colony’). Nearly all native bird species and their eggs have been protected since 1907, and all but two species of native birds (spur-winged plover and southern black-backed gull) and their eggs are currently protected under the Wildlife Act. 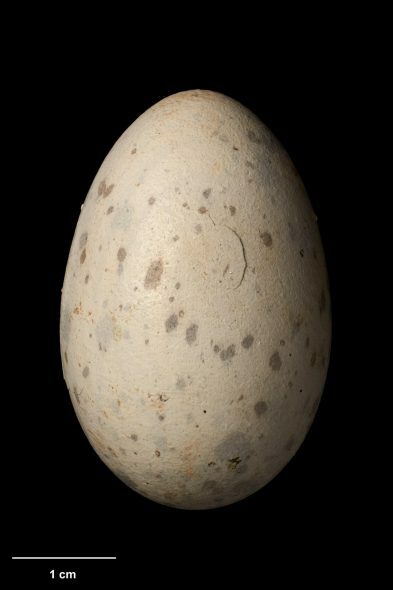 This means that the egg collections acquired by Te Papa are either very old (mainly pre-1910), or the eggs have been collected by individuals or institutions authorised to do so. Many of the eggs and clutches of eggs held by Te Papa have dramatic stories behind their collection. 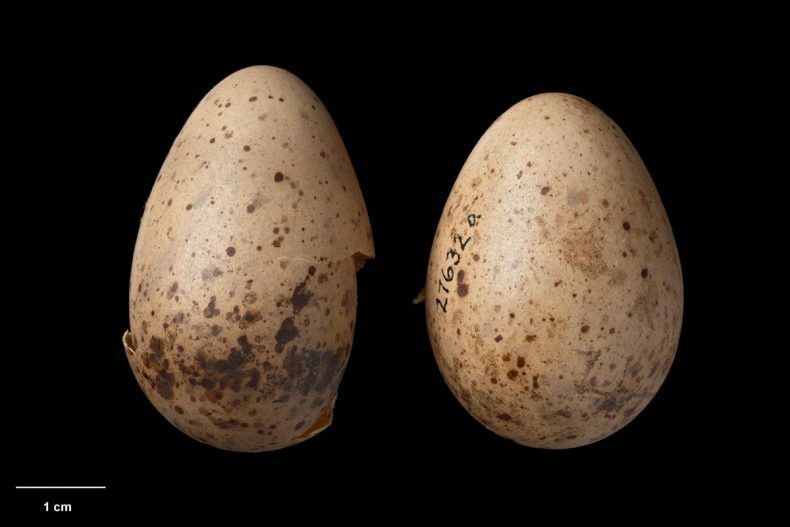 These include the numerous clutches of dunnock, Chatham Island warbler, and Chatham Island tomtit eggs collected by the New Zealand Wildlife Service on Mangere and Rangatira Islands in the Chatham Islands between 1980 and 1987. 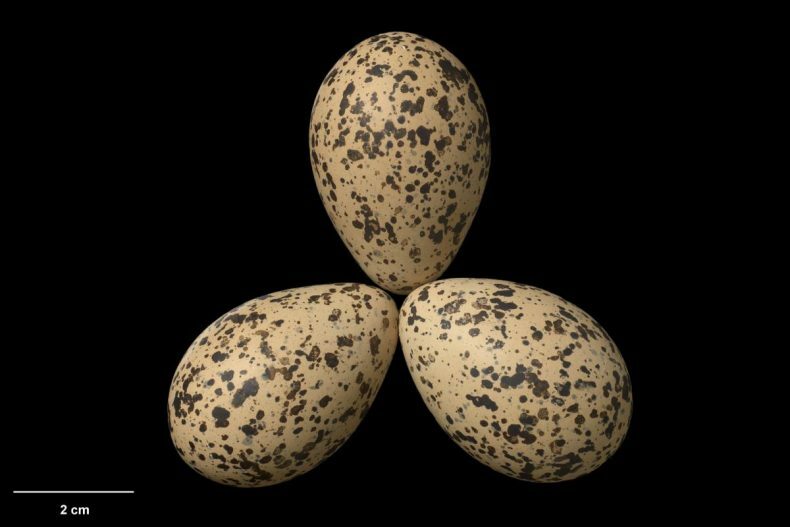 More recently, the museum acquired five clutches of New Zealand dotterel eggs from the Department of Conservation, as a result of the Rena oil spill in 2011. The adult birds on Maketu Spit were caught and held in aviaries until Bay of Plenty beaches were cleaned up and were no longer at risk of further oil washing ashore. These are all rare modern examples of entire clutches being collected from protected birds. 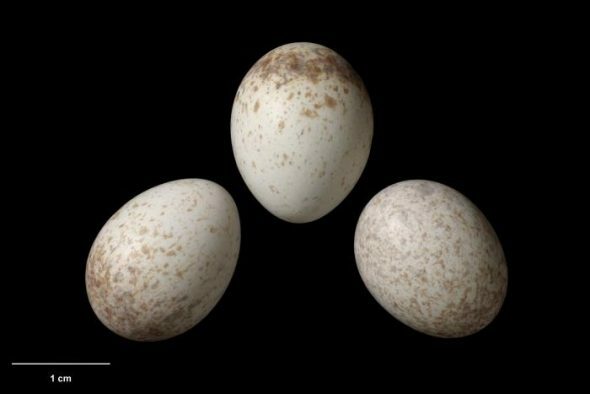 Most of the additions to the Te Papa egg collection in the last 50 years have been single infertile or damaged eggs found by researchers. Future blogs will explore some of the individuals and institutions who were major contributors to the Te Papa egg collection. i have a few from Len Castle including his signed sea shell collection which inspired some of his pottery.included is a giant egg shell ,maybe a kiwi egg? which i have now noticed has Len Castles signature,could this be possible? if so did L.Castle contribute to the egg collection? and was it common for the artist to sign them? There is no record of Len Castle contributing eggs to the Te Papa collection. What a fantastic day of photographs of the collection. The Otorohanga Kiwi House also had a large collection of native eggs. We’d be keen to understand more about how the photographs were taken as we’d like to record our collection in a similar way. Thanks very much for your comment. I will contact you directly about your photography enquiry. Thanks for this, Colin. I read recently that owls have round eggs so I was interested to see the Laughing Owl’s egg. It doesn’t look completely round. in that picture, to me. Are all owl eggs round? Have you any idea why? The item I read was about the shape of eggs and said it was governed by flying ability – fast, agile fliers producing more elongated eggs. What does that say about owls? 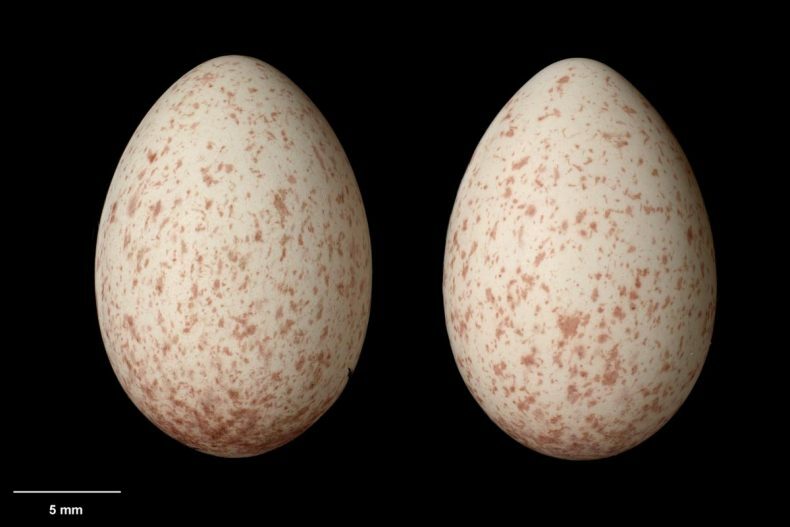 Here is the article http://www.sciencemag.org/news/2017/06/surprisingly-simple-explanation-shape-bird-eggs. 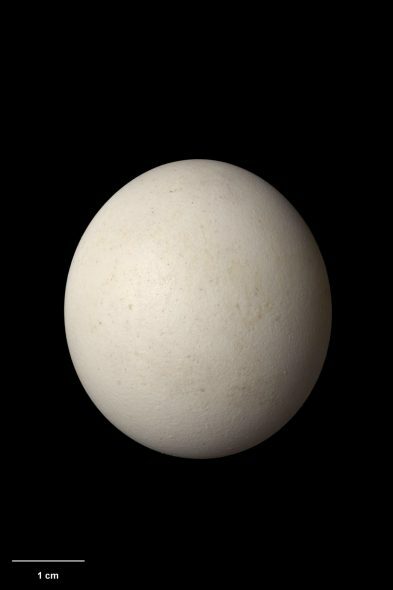 The laughing owl egg is one of the ’roundest’ eggs in the collection. Round eggs is a characteristic that owls share with several other tree-hole nesting groups (e.g. parrots and kingfishers). 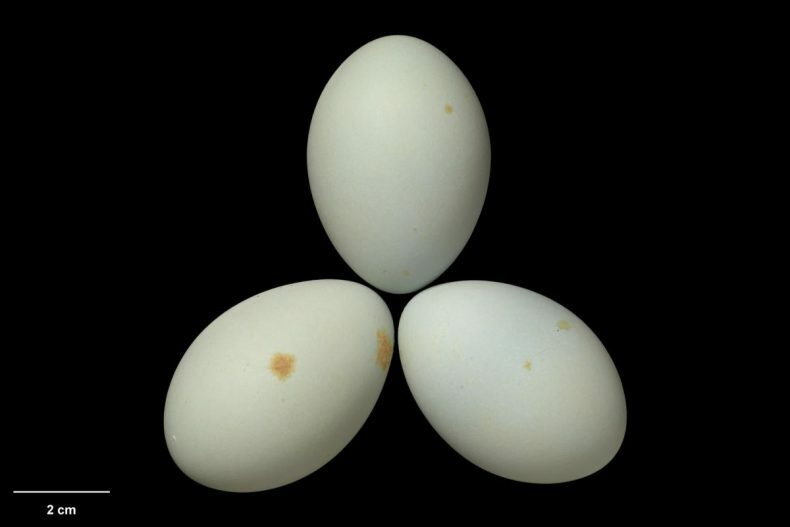 The paper that you quote is certainly intriguing, but there is a lot of scatter in the graph, suggesting that there are multiple factors affecting egg shape. If flying ability was a major driver, I would expect greater variation with a group – e.g. sedentary owls having rounder eggs than migratory ones. There are clearly many exceptions to the pattern. Kiwi don’t fly at all, but have very elongated eggs, presumably because they are so large in relation to body size. Thanks Colin and Jean-Claude. What a great opportunity to tell these stories. 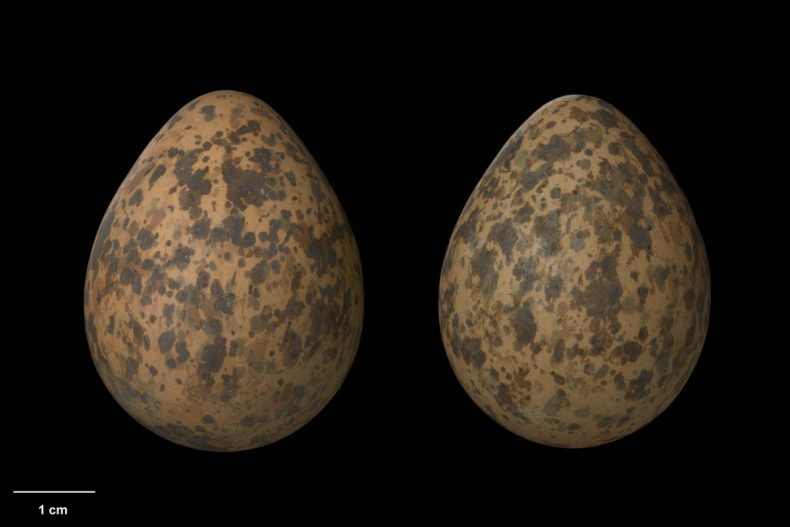 I was especially moved by the eggs of the extinct birds i knew less about than the moas, like the bush wren, and followed the links to NZ Bird to see some of these. Yes – the eggs are a poignant reminder of how recently so many of our native birds have become extinct. We decided during the project to include measurements of all the eggs that are shown individually on NZ Birds Online. You need steady nerves to handle and measure such fragile relics of extinct species. A lovely survey, with gorgeous images. That would have been a tough task for J-C?! Jean-Claude admitted to being quite moved (and more than a little nervous) photographing the moa eggs – and I also appreciated the opportunity to see these taonga when removed from their storage cases.